Origins: The derivation of the word is uncertain, though it possibly can be traced to the medieval Latin carnem levare or carnelevarium, which means to take away or remove meat. This coincides with the fact that Carnival is the final festivity before the commencement of the 40 days of Lent, during which Roman Catholics in earlier times fasted and abstained from eating meat. The first day of Carnival varies with both national and local traditions. In Munich in Bavaria the Carnival season, there called Fasching, begins the day of the Epiphany (January 6), while in Cologne it begins on November 11 at 11:11 am (11th month, day, hour, and minute). In France the celebration is restricted to Shrove Tuesday (the Tuesday before Ash Wednesday) and to Mi-carème (the Thursday of the third week of Lent). More generally, the commencement date is the Quinquagesima Sunday (the Sunday before Ash Wednesday), and the termination is Shrove Tuesday. (USA) New Orleans Since its early days in New Orleans in the early 18th century, Mardi Gras has grown to colossal proportions and includes several familiar traditions, like bead throwing, mask wearing and coconut painting, that are widely practiced today but whose origins may have been forgotten. The tradition of bead throwing starts with their original colours. The color of the beads was determined by the king of the first daytime Carnival in 1872. He wanted the colours to be “royal” colours – purple for justice, gold for power and green for faith. The beads were originally made of glass, which, as you can imagine, weren’t the best for tossing around. It wasn’t until the beads were made of plastic that throwing them really became a staple of Mardi Gras in New Orleans. 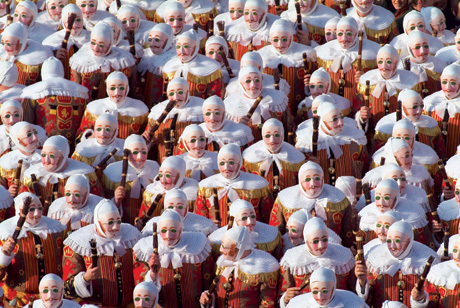 (Switzerland) Basil The Morgenstreich is a major and spectacular event that starts the Basel Carnival: the Fasnacht. The Morgenstreich is a procession of lanterns held the Monday following Ash Wednesday with some 200 large lanterns forming the structure of the parade. True works of art, they evoke in a satirical and humorous way the major themes of the year. A peculiarity of Fasnacht is the badge named “Plakette”, a kind of ticket to the Carnival of Basel. 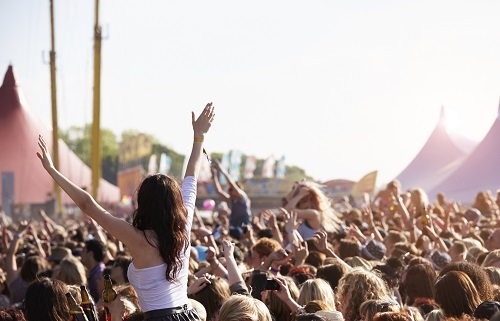 It is not mandatory to buy it, but its acquisition is very popular because the money from the sale is used to pay a large share of the costs of the parades. (Brazil) Rio de Janeiro The birth of samba music in the city played a crucial role in the formation of what are considered contemporary Carnival celebrations in Rio. Over the years, the numbers of samba schools and spectators increased significantly. They grew so much that in 1983 the famous Brazilian architect Oscar Niemeyer was commissioned to build the Sambódromo as a permanent site for the competitive parade. The top twelve samba schools are known as the Special Group and they compete in the Sambódromo on the final two days of carnival for the championship. The competition is broadcast live in Brazil and is increasingly televised internationally. (Italy) Venice The Venice Carnival is the most internationally known in Italy, as well as being one of the oldest. 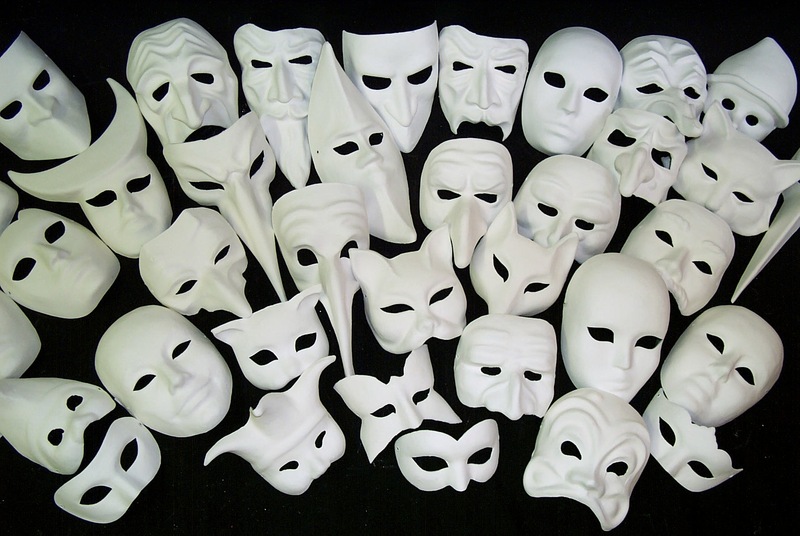 This congregation of masked people began in the 15th century, but the tradition can be traced back to the beginning of the 14th Century. During Carnival the streets of Venice were full of people in masks, and no differentiation could be made between nobility and the common people. Generally, the costume worn was a cloak with a long-nosed mask. Also popular were masked couples, where a man and a woman would dress as allegorical characters. Hiding personal identities was accepted by the "moral in kidding" of the aristocracy as well as by the interclassism Venice was founding its integrity of people on. (India) Goa Carnival was introduced by the Portuguese who ruled over Goa for over five hundred years, it is peculiar to Goa as it is not a celebrated festivity anywhere else in India. It saw a moment of decline in Goa in the last few years of Portuguese rule, but its revival with the Liberation of Goa provided a boost to its tourism. It is held in February for three days and nights, when the legendary King Momo takes over the state and the streets come alive with music and colours. Then begins the weeklong event, which is a time of unbridled festivity and merry-making, celebrated since the 18th Century. (Trinidad and Tobago) Trinidad Carnival in Trinidad and Tobago is one of grandeur, colour, revelry, rhythm, and gaiety. Evolving over the past two centuries from an elegant, exclusive affair to a truly all-inclusive national festival, it is by far the most spectacular event on the nation’s calendar. Although a major part of the Trinidad Carnival mystique lies in its unique ability to bring people of diverse backgrounds together in harmonious circumstances, the festival was not born to such noble pursuits. From the inception of street parades in 1839 and for more than 100 years thereafter, the celebration flowed in two distinctly different social streams - upper and lower classes. (Germany) Cologne The infamous Rose Monday Parade is the climax of Cologne’s Carnival celebrations. It’s a colourful festival that features 120 marching bands and 74 intricate floats, traditionally used to poke fun at current political and social issues. 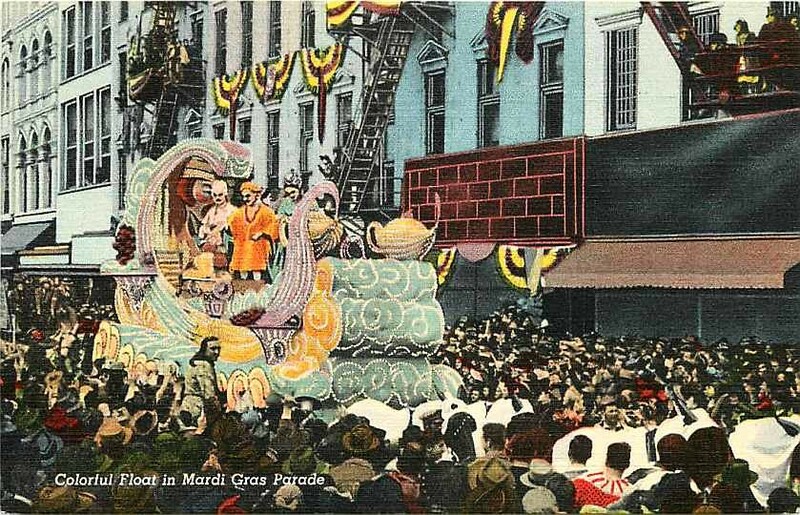 Over 1,000,000 people gather in costume to watch the parade. Expect to have many flowers and sweets (Strubjer and Kanelle) as they are tossed from the floats during the parade, be sure to arrive early and pick a good spot to watch the parade! (Belgium) Binche Belgium's most famous carnival in the small town of Binche attracts thousands of visitors annually. 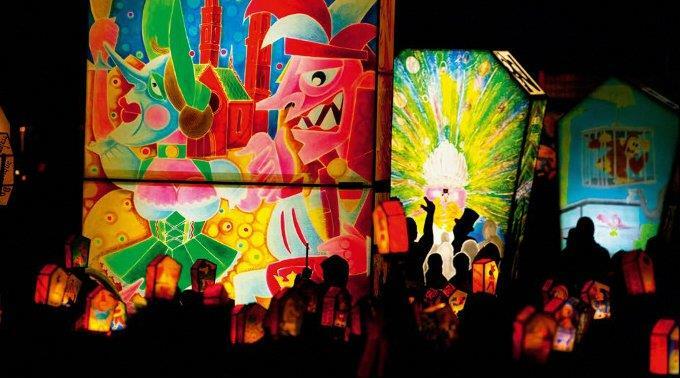 This colourful event, named a UNESCO Masterpiece of the Oral and Intangible Heritage of Humanity, is a must see event. Dating back to the 14th century, it is most famous for its parade of Gilles on Mardi Gras (Fat Tuesday). The Gilles of Binche are performers disguised with masks, red costumes and wooden clogs and must conform to a set of rules: they must be born in Binche, can only come out on Mardi Gras, need to be guided by a drummer at all times and are not allowed to sit down or get drunk in public. On Mardi Gras, they meet on the Grand Place of Binche dancing with brooms to the sound of drums to chase away the cold and evil spirits, then march through the town throwing oranges at the public, a symbol of the coming of spring. (Bolivia) Oruro Listed by Unesco as a Masterpiece of the Oral and Intangible Heritage of Humanity, Bolivia’s largest annual celebration is a massive event said to draw in around 400,000 people. Its centrepiece is La Diablada, the ‘Dance of the Devils’, an extraordinary parade that showcases demonic dancers in extravagant costumes. (Spain) Tenerife The locals take their partying very seriously indeed - in Tenerife Carnival goes on for over a month, bookended by the presentation of the candidates to be Queen of the Carnival to the crowning of the winner. In between there are parades, dances, concerts, fireworks and lots of pretty people in crazy costumes. Every year more than half a million people travel to Tenerife to join in the party that closes in style with a 24-hour party...and setting fire to a giant papier maché sardine.